The Slow Readers Club will be performing at Neighbourhood Weekender this May bank holiday weekend. We spoke to band member Aaron about how they formed, what they’re looking forward to at Neighbourhood, and what we can expect from them. 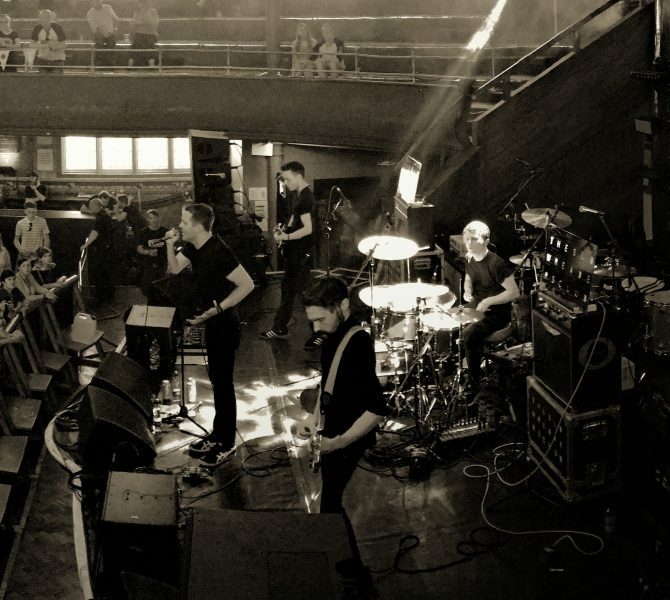 How did The Slow Readers Club form? Me and James were in a band before called Omertà. When that came to an end we brought my brother Kurt in on guitar and later David on drums, who had been in a band with Kurt a few years back. Who were – and still are – your biggest influences in music? We have a wide variety of influences between the four of us including Bowie, The Beatles, The Smiths, Led Zeplin, Lou Reed, ABBA, the Bee Gees, Motown… anything with a great melody and decent lyrics basically. At the moment it’s lunatic as that was a bit of a breakthrough single for us last year and always gets the crowd bouncing. Neighbourhood Weekender is still a fairly new festival, with 2019 only being its’ second year, but it was such a huge success in 2018. What made you want to play at this particular festival? Yeah, it’s new but it’s already established itself as one of the biggest festivals in the north of England. The line up both in 2018 and 2019 is really strong, plus we had a great experience doing our guest slot at the city based Neighbourhood in Manchester last year. It’s also a chance for us to reach new people that maybe haven’t heard of us before or are yet to check us out live. 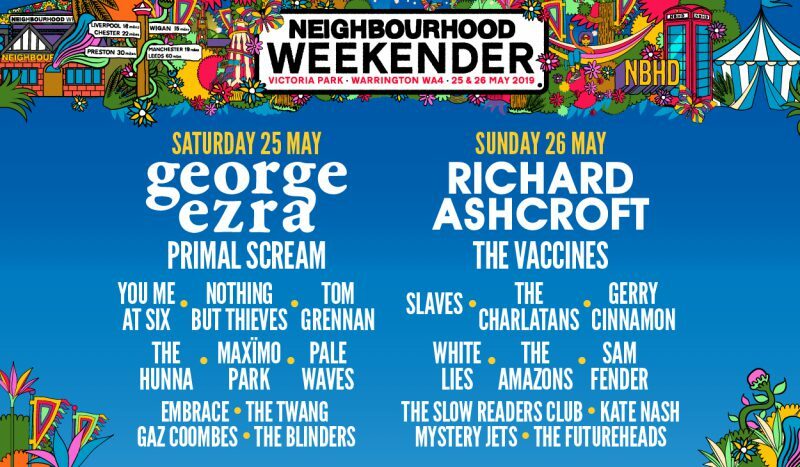 Will there be any surprises during your set at Neighbourhood Weekender that the crowd need to look out for? Not bringing any surprises but will be bringing our A-game. We will be playing the festival off the back of a 48 date tour so should be pretty slick. Who are you looking forward to watching at Neighbourhood Weekender 2019? My top three new ish acts would be Gerry Cinnamon, Sam Fender and Pale Waves. Gerry’s shows look mental from what I’ve seen online, he’s got an amazing bond with the audience. Sam Fender has great tunes and a brilliant voice. It’s been amazing to see what Pale Waves have achieved. We’ve shared a stage with them a few times in the past, love their sound. Would be great to catch the more established acts too like Richard Ashcroft, The Charlatans and The Vaccines who we grew up listening too. Finally, who is the slowest reader in the club? Ha ha no idea sorry, never done a test.